Skunk2 Tuner Series camshafts retain factory idle quality and low speed emissions and also significantly increase HP and TQ. When applicable, the VTEC crossover from primary to secondary is more dramatic for that classic VTEC surge. Many of the Skunk2 Tuner Series camshafts also feature Fast Ramp and Amax Technology which allow the engine to build more torque at lower rpms. 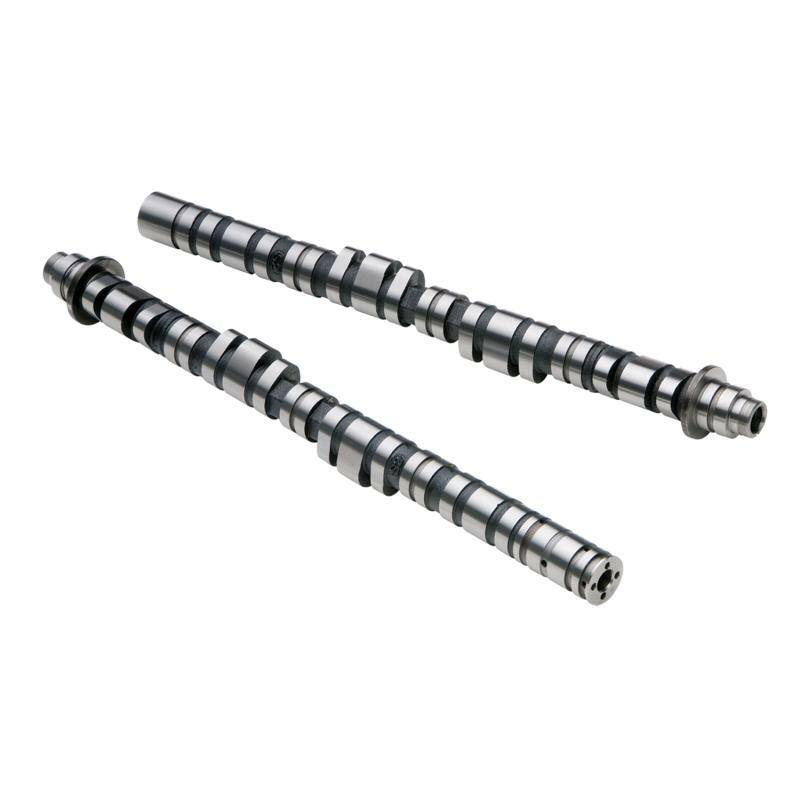 Tuner Series camshaft profiles are less aggressive than the Pro-Series Camshafts and are designed to place more emphasis on idle quality and emissions. Tuner Series cams use the same high quality cores as the Pro-Series camshafts and are ground on the same CNC cam grinding machines equipped with CBN grinding wheels. Tuner Series camshafts are ideal for both daily street driven and racing engines. applications. Upgraded valvetrain recommended, but not required. Stage 2: Street/Race cam designed for engine with free-flowing intake and exhaust tracts, increased compression, and upgraded valvetrain. Stage 3: Street/Race cam designed for engines that require the top-end power to carry into higher rpms than what is possible with Stage2 cams. Turbo 1: Street Turbo cam designed for lower boost, low rpm levels 5-10 psi. Ideal for basic street legal turbo kits.